“Free money hugs”. This is the tagline from the latest checking account promotion Anchor Bank is giving away. Open a new checking account with them and a $150 cash bonus will be waiting for you. Once you open an account, you are required to meet the minimum deposit requirement of $100. By doing so, you are automatically qualified for a $50 cash bonus. Just make sure you comply this before April 15, 2012, when this amazing offer will expire. To get the next $50 bonus, you must be able to have a direct deposit to your checking account. This deposit may include any of the following: pension, Social security, or payroll, as well as any other benefits from the government. This should be done within 60 upon initial enrollment of the checking account. Lastly, you must complete debit card purchases of at least three within your first 60 days of having the new account. Once all these requirements are completed, your $150 bonus will be deposited directly into your account, in a span of 6 weeks at the least, and 8 weeks at the most. Other qualifying requirements are: you must be able to keep the account open for at least 6 months. The offer is good for new accounts only, however, if you have an existing Anchor Bank account, you can switch types. As long as this is a first-time checking account (you can choose many types), you’re qualified. This must also be used as your primary account. For switching problems, you can conveniently change your account type online at their website. To help you learn more about the offerings of their different checking accounts, you can log in to their website. 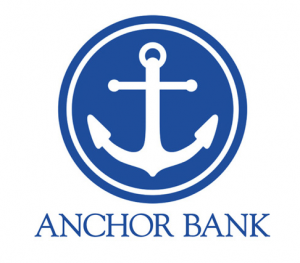 Since 1919, Anchor bank has been well-credited for their reliable mortgage and real estate loan offerings. Branching out to banking proved to be lucrative as well. This latest checking account promotion is a sure example of that. This “money hug” from Anchor Bank will do so much more than give you that warm, fuzzy feeling on the inside. They offer flexibility in terms of managing how long you want to keep an account for. You can have it for as short as 91 days or for as long as 4 years. And because you can choose an account that’s auto-renewable, you can just leave your money to keep growing and growing for the many years to come. One of the most important requirements for you to be able to open an account is that you have to be a resident of the state. Since they do not accept any form of out-of-state money, this can either be an advantage to you if you’re from the small county, or a disadvantage if you’re not. They also require $1,000 minimum initial deposit if you’re applying for the 1-4 year CDs. However, if you’re only going for the 91 or 182 day CDs, you must meet the minimum requirement of $2,500. How do you get the interest? The FNB can either issue you a check, or directly deposit it in your checking or savings account. Of course, you can just add it up to the CD so you can get more of it when it reaches maturity. However, as with other CD accounts, there are penalty fees for early withdrawal. It might be prudent to carefully think over the type of CD plan you intend to go for so as to prevent unnecessary payments that will prove to be a big loss on an otherwise fruitful gain. Serving the small county of Pawnee in Oklahoma since 1893, the First National Bank of Pawnee has since evolved from a small bank into a full financial institution it is today. Even with its small staff of 25, and catering to a small number of people, it boasts of at least $50 million in assets. Since its foundation, the bank has experienced depressions, wars, and drought. But despite all these, its financial integrity remained strong, and that is why it has become one of the most trusted names in banking in the state of Oklahoma. Most people don’t really know the difference between credit unions and banks, when in reality, even the smallest credit unions can give the banks a run for their money. This is because credit unions tend not to focus on profit, but rather on service. This is also the reason why rates at credit unions can be lower than conventional banks when it comes to mortgage. This is exactly the principle that Crestline Funding, like most credit unions, adhere to. According to the Credit Union Mortgage Association, today’s 30-year fixed mortgage rate is fixed at an average of 4.143%. But Crestline Funding offers even lower rates than that standard. At 3.811% APR, you can significantly save hundreds of dollars in the long run. Any deal is a great deal when you get to save, so if you’re thinking of doing repairs in your home early this year, or even buying a new one at that, you might as well grab the opportunity now. As can be seen, you can get more value for your money because of the very low APRs. Plus, Crestline Funding offers 96.5% financing, so you won’t have to worry about shouldering more than you can pay for. These low-rates are possible all because they are a direct lending group. Unlike banks or other real estate agencies, Crestline Funding eliminates third parties, so you won’t have to pay for the middle men. In order to apply for a loan, you can ask for a free quote on all you mortgage needs on their site. An application form is also given where they can assess your needs, depending on which type of loan you prefer, and on your credit history. If you’re not satisfied with that, they offer live assistance from their online agents where you can openly talk to them regarding your concerns. Doing the deal online provides an avenue for a more convenient and hassle-free way of negotiation. The Crestline Funding group offers no cost loans upon closing a deal, nor do they assign points for each loan you make. They only offer interest loans, making sure you have no extra surcharges in end. Aside from fixed loans, they also offer refinance loans, purchase loans, reverse mortgages, home equity loans, jumbo loans, VA and FHA loans. As with other credit unions, you know your money is safe as you are insured very much like banks do. With these low rates and great service offers, you wouldn’t have to think twice about buying that new house again. Stop for a moment and think about you goals in life. Do you want to buy a new car next year? Or perhaps you want to start saving for your kids’ college fund? Oh wait, there’s still that old farmhouse in the country you’ve been eyeing to have for your retirement. Whether your goals are for long-term or short-term, we all know that getting the money we need is the vehicle by which we can reach these dreams. Doral Bank understands this need, and that’s why they’ve set a very high APR of up to 1.15% for a 1-year CD. And since other banks or lending groups are trailing far behind at 1.080% or 0.990% rates, Doral Bank’s offer is quite a lucrative deal to sign up for indeed. With these rates, you can customize you CD plan and choose a time period suitable for you and your needs. It is fairly easy to start a CD account with Doral Bank. At a minimum, you must first have at least $1,000 deposit. You must also make sure that you have a daily balance of the same amount as well. This makes you eligible to avail the above APYs. All interests undergo daily compounding, ensuring best and higher returns for you money. When it reaches full maturity, automatic renewal is in place. If however, you wish to change a term or not opt for renewal, you will be given ten days to settle the account. If you should decide to close the account earlier than you should, or before the money reaches maturity, you will not be penalized save for a $10 fee. Doral Bank has three main centers – one in Florida, one in New York, and another in Puerto Rico. They bank mainly on through their online services, making people’s money more accessible than it ever could. And since Doral Bank is a member of the Federal Insurance Deposit Corporation, or FDIC, you are insured of at least $250,000. Their emphasis on security has placed them among the ranks of well-trusted banking services in the country. The mortgage industry has been getting a few setbacks for the past few weeks. Mortgage rates has been getting higher and higher, with many rate discrepancies between lenders. This makes it hard for people to start planning their future, especially for those with a history of bad credit. The Federal Housing Administration (FHA), offers one of the best mortgage rates and financial loans in the market today. This organization has aimed to cater to all the needs of potential buyers, by giving more lenient rules, as opposed to more traditional lending groups. The FHA will allow loans to be handed out to those with poor credit history, or those who have none at all. Traditional financing looks into a person’s credit scoring, which looks into your credit background. Once you are deemed to be below their required credit score, you are automatically disqualified. But with FHA loans, none of this matters. They will only require you to write a reasonable explanation for the circumstances that led to your poor credit history. For cases of past bankruptcy, special cases are considered after their perusal. Today, the lowest APR you can get for a 30-year fixed mortgage is around 3.250%. Many lending groups, such as Amerisave and Quicken Loans have and APR of 3.891% and 4.174% respectively. These are still relatively high interest rates. The FHA only offers 3.75% APR. And because this is the interest rate for a fixed-price mortgage loan, you can be assured of some stability, no matter how unstable the real estate market becomes. For those who are seeking more liquidity, the AMR offers even lower interest rates. With this, you are only expected to give interest pays. This can significantly lower your monthly bills. Once you get approved for a loan, you are expected to pay about 10% initial deposit of the sum amount. You must also ensure that the monthly cost of your housing will not go beyond 41% of your monthly income. This is a really great offer from the FHA since many other banks provide to be stricter with regards to these rules. 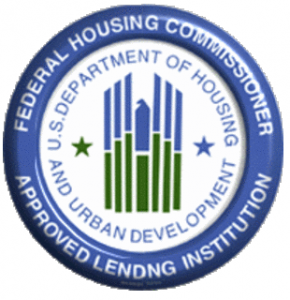 Established in 1934, the FHA has been aiming to provide affordable housing loans to those who are underqualified from many conventional lending groups. Now, many people are realizing their dreams of purchasing their own houses. The FHA is the perfect solution in cases when a particular home buyer is unable to continue with the loan. In such cases, the FHA frees the lender from paying the insurance fund. So if you’re just starting out and thinking about buying your first house, you’ll never have to think twice again. Choose IHL Direct FHA Loans.